As we prepare for the new Academic Year ahead of us, its time to look at Google Forms. In this video I will try to show you some of the key new features of the new and improved Google Forms. EduFlip.net aimes to bring you the latest and best in Educational Technology and Professional Development. Everything we share is recommended by us after having been carrefully tested band our students! Allways starting from the Pedagogy and usability in class! Why do I recommend these two books? Both books are amazingly well written and carefully created to be perfect for our youngest learners. The first one introduces Computational Thinking and Coding to under 7's. The second book is all about on using G Suite for education with Early Years and Key Stage 1 Children, written by no one less than Alice Keeler! Both books come ready with many examples and activities you can implement in your classrooms, today! Welcome to the EduFlip Website featuring 'Flipped Classroom Tutorials'. This website's main aims is to provide information, tutorials and useful links I have personally used within my class and I hope you will find my posts useful. In addition to various tutorials and tips, I will, from time to time highlight apps or software that have proven helpful in my daily workflow as an educator, trainer and full-time parent. My main goal is to try new things whilst providing solid educational value, alongside helpful tips and tricks. 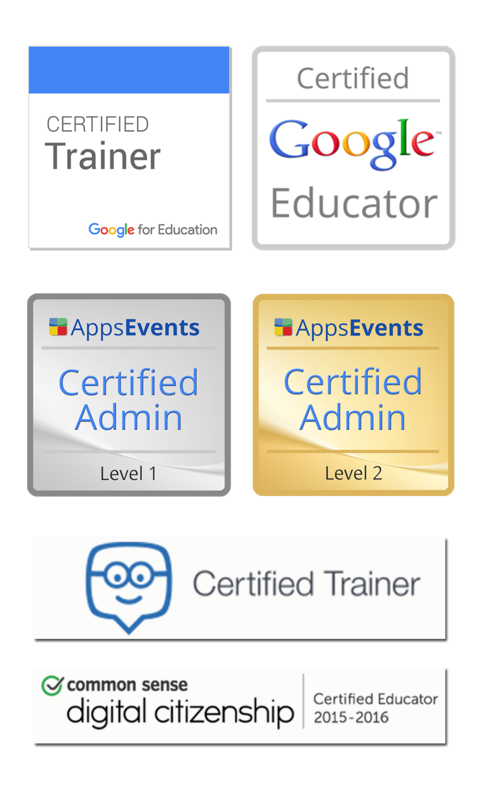 I have completed various EdTech related qualifications such as; Certified Google Educator, Google Certified Trainer, AppsEvent Certified Admin Level 1 and 2, as well as the Common Sense Digital Citizenship Certified Educator and Edmodo Certified Trainer programs. If you have any questions about these programs or are interested in completing them yourself, please do not hesitate to leave a comment or contact me. Create your BEST Interactive Presentation UPDATED Video!